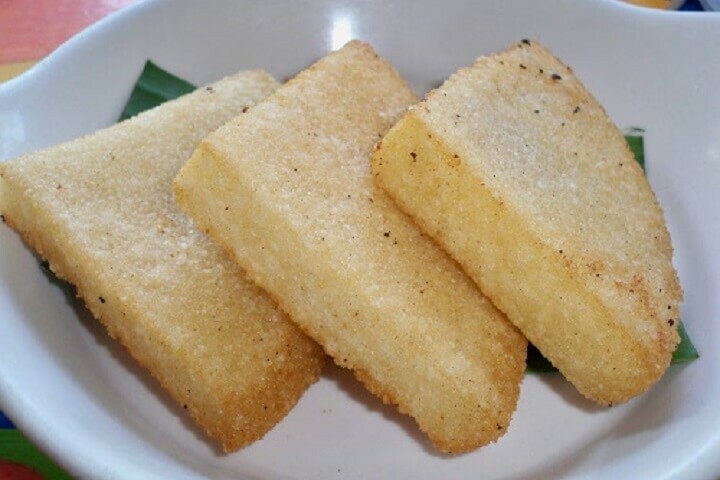 Bammy is a sort of cake that resembles a pancake made from cassava flour. It originated as a staple dish with the Arawak Indians who first occupied Jamaica. A series of preparation preempts the making of the bammy as the cassava plant is shredded, juiced, dried and then pounded into flour. Bammy is commonly consumed with seafood such as fried fish.